Effingham schools have promised to end religious instruction in elementary school math classes following a complaint from the Freedom From Religion Foundation. A concerned district parent contacted FFRF after discovering that a fourth-grade math assignment at Central Grade School in Effingham, Ill., included unconstitutional overt religious instruction. 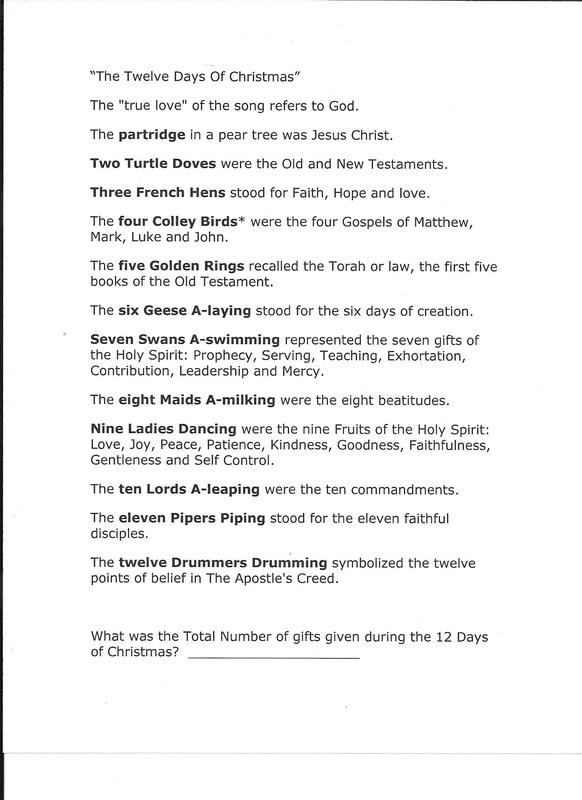 The assignment consisted of counting the total number of gifts given in the lyrics of the song, “The Twelve Days of Christmas.” Completely superfluous to the task, students were given religious metaphors for each lyric in the song. The assignment stated that “the ‘true love’ of the song refers to God,” “The partridge in a pear tree was Jesus Christ,” “The eight Maids A-milking were the eight beatitudes,” etc. It is well-settled law that public schools may not advance of promote religion. Specifically, public school have a duty to ensure that instructional materials do not promote a particular religious viewpoint, FFRF reminded the district. The district responded to FFRF’s complaint on Monday, Jan. 28, acknowledging that the religious material was inappropriate and assuring that no similar violation will occur in the future. “The teacher and principal understand that the information on the reverse side of the activity sheet was not appropriate for use in a public school classroom and steps have been taken to ensure in the future that this, and other similar sheets, align with the guidelines and limitation of applicable law,” Doan replied. FFRF commends the district for taking swift action to address this violation and ensuring that the Effingham School District remains a learning environment for all students, regardless of their religious beliefs. The Freedom From Religion Foundation is a national nonprofit organization with more than 31,000 members and several chapters across the country, including over 900 members in Illinois and a chapter in Chicago. FFRF’s purposes are to protect the constitutional principle of separation between church and state, and to educate the public on matters relating to nontheism.